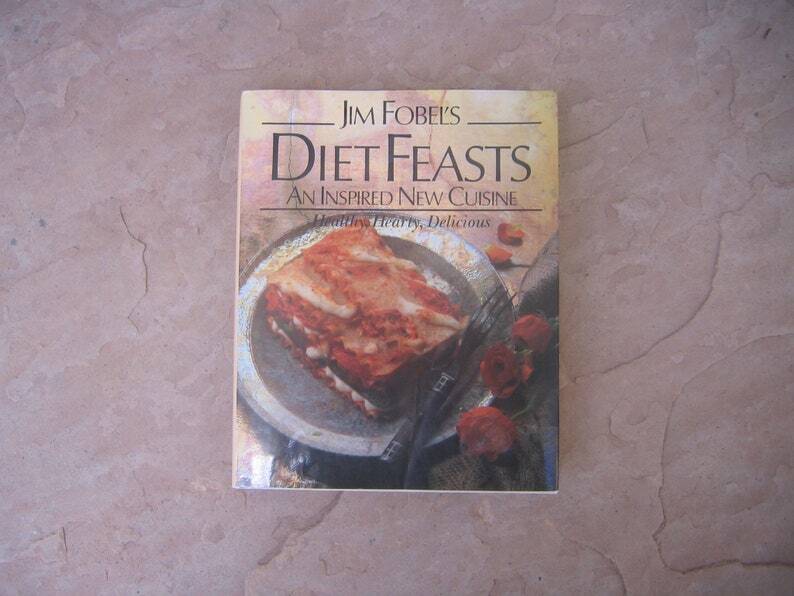 Jim Fobel's Diet Feasts An Inspired New Cuisine ~copyright: 1990 by Jim Fobel. Healthy, Hearty, Delicious. For all those who, like Jim Fobel, hate the boring, restrictive fare served up on most health and weight-loss programs, here at last is a sumptuous new diet cuisine composed of real, substantial, delicious food in generous portions. Jim has succeeded in creating recipes with no more that 350 calories per serving, along with other usually off-limits favorites. In fact, Jim has developed wonderfully imaginative, calorie-controlled recipes for every menu or occasion. In short, Jim Fobel's Diet Feasts is the perfect diet book for people who love to eat. This wonderful 196 page hardcover cookbook is in good used vintage condition with no markings, food stains, torn or missing inside pages. The outside cover and dust jacket show shelf wear. The front and back of the dust jacket is creased and has seen better days. (price reflects the condition of the dust jacket) Cookbook measures: 7.75" x 9.5"
We do our best to describe each cookbooks content and book condition. 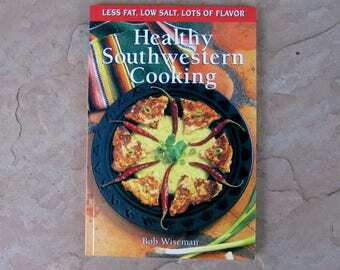 Please feel free to ask questions prior to purchasing your cookbook. If you are not satisfied with your purchase please contact us prior to returning. On all returns buyer will be responsible for shipping cost. Shipping: We ship orders within 3-5 business day from date of purchase, weather permitting. If the weather is to bad to travel to the post office we will contact you with the delay in shipping. Cookbooks are shipped via USPS Media Mail with tracking information. The US Post Office estimates transit time before your item arrives to be 3-8 business days from the date shipped. If you would like your order to ship by USPS Priority Mail please let us know before you place your order so we can give you a shipping quote. Questions and requests are always welcome.